Humber Local Enterprise Partnership’s Growing the Humber LGF programme is a £4m scheme to help grow businesses in the Humber area. Through the provision of additional investment, it is designed to unlock projects that have the potential for job creation and can quickly deliver tangible economic outcomes. 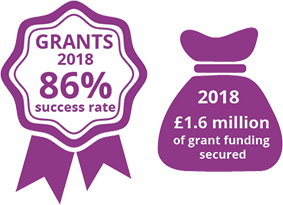 Businesses wishing to apply for a Growing the Humber Local Growth Fund grant must first complete an online Expression of Interest for. The application has a two stage process. The expression of interest aims to check eligibility and will be assessed by staff from the Humber LEP and the Accountable Body for the programme (North East Lincolnshire Council). If the proposed project seems to be eligible, the applicant will be invited to complete a full application form. One-to-one advice sessions are available for all potential applicants to discuss their projects with the Humber LEP. Businesses will receive a quick assessment of eligibility and support in presenting projects in a way that will increase their chances of gaining a grant.